Donatien Tuyizere, best known to his fans in the soccer circles as `Jojoli’ has played for all major local football clubs including APR FC, Kiyovu SC, ATRACO FC and Rayons Sports, and won a collection of 20 trophies during his career. He was also a regular selection for the Amavubi national football team since 2004. Tuyizere is on record as the only player to have won the Rwandan football league with three different clubs. He helped ATRACO FC win the national football league in 2009, APR FC in 2010 and 2011 and Rayon Sport in 2013. However, in spite of his illustrious career locally, the star player has failed to make it to international professional football, owing to the absence of video evidence of his prowess on the field. 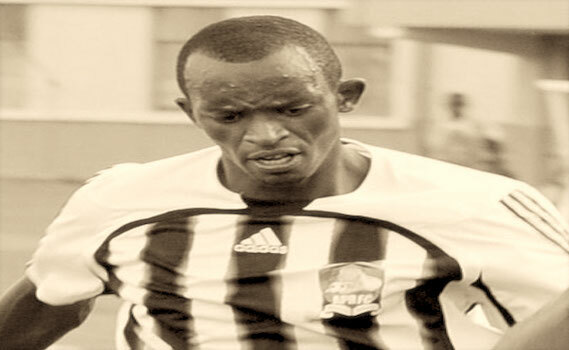 Born in Kigali’s football hub of Nyamirambo in Mumena sector 33 years ago, Tuyizere alias Jojoli decided to end his colourful 12 years football career in 2015. Football did not only help him pay the bills, but also helped him earn valuable friends. Thanks to earnings from football, he now prides himself among the few footballers with a university education. In an exclusive conversation with Taarifa, Tuyizere talks about the virtue of hard work and commitment – and a mixture of luck. “I started my football career in 2003 with Leopards FC after coach Ali Bizimungu spotted me during inter-scholar games and recruited me. I was still in secondary school,” recalls Jojoli. He then left SC Kiyovu in 2007 to join ATRACO FC, a new team created by public transport operators that went on to win the national league in 2008, the Peace Cup and the CECAFA Kagame Cup in 2009. In 2010 Jojoli went back to APR FC where he won two consecutive league titles and two Peace Cup trophies before joining Rayon Sports to help them take the national league in 2013 after nine years in the wilderness. His career climaxed when he joined Police FC to help them win the Anti-Corruption Cup in 2014. He moved again, joining Sunrise FC where he was later to hang his boots. “When I look back at my career as a football player, I feel profoundly proud. It may not have been the best in terms of personal success, but I recognise the fact that few players have managed to achieve what I have achieved,” he reflects. To justify the trust accorded him by his coaches, Jojoli says he would train hard on his own, to be at par with his peers who had joined the top league from the second division and club academies. He impressed with outstanding performances in both the clubs where he played and the national team where they had to beat tough competition from foreign based professional players for selection. Sometime in 2006 Kiyovu played against APR FC. Jojoli was ill. He sat on the bench watching his team getting dribbled. At the 85th minute, the coach asked Jojoli if he could try to save the time. He thrust onto the pitch as a substitute. Meawhile, there was a foreign agent scouting for good players. “He saw was interested in me. He wanted to take me to Russia,” he recalls. After the game, “He asked me if I had a DVD capturing me on the field. Unfortunately I had none.” The agent flew back, ending what might have been Jojoli’s ascent to glory. “One day, when I was playing for ATRACO FC, we beat APR FC 1-0. Again there was a foreign scout who had come looking for Jean Baptiste Mugiraneza `Migi’. He liked me, and said he wanted to take me to Europe but he also asked for a DVD. Again, I did not have the DVD,” he says with in a sad tone. As if there was an unseen hand determined to bar him from advancing his career abroad, Ratomir Dudjkovic, the coach who led Amavubi to the African Cup of Nations in 2004 in Tunisia was dismissed before he could finalise plans to send Jojoli to Croatia to play professional football. During his football career, Jojoli singles out the CAF Champions league match between APR FC and Tunisia’s Club Africain which ended 2-2 in Kigali. “I scored the first goal against Club Africain and the image of me scoring that beautiful goal still comes in my mind,” he recounts. “With the national team, I remember the match we won against Ethiopia during the 2005 CECAFA juniors semi-final as I scored the second goal that led us to the victory during a counter-attack. I passed the ball to Jimmy Mulisa [now APR coach], he passed back, I passed to him again, and he passed back, one touch, one touch… and I ran with the ball and scored,” Jojoli says excitedly. The game he remembers as the worst in his career with in the national team is when Uganda beat Amavubi 2-0 in the 2009 CECAFA final and the one when APR FC lost to Tanzania’s Young Africans in CECAFA Kagame Cup semi-final in 2011. “I was arguing with Mbuyu Twitte, who had fouled. While we were busy arguing, Young Africans went ahead and took the free kick during the confusion. They scored the second goal and qualified for the final at our expense. They went ahead to beat Azam FC 2-2 in the final. I can’t forget that match,” he reminisces. During his career as a player for top local clubs and the national team, Jojoli says that `legend scorer’ Jimmy Gatete was his toughest opponent and best teammate during his time at APR FC. “He (Gatete) was every defender’s nightmare. His outstanding dribbling skills made him mysterious and elusive. Before you knew it, he would be celebrating after scoring, to the chagrin of many defenders,” Jojoli says, smiling at the memory. Jojoli thinks that Bonaventure Hategekimana `Gangi’ and James Kayimba were the best defenders he ever played with in the national team Amavubi and at club level. Donatien Jojoli Tuyizere salutes the late Jean Marie Ntagwabira, Ali Bizimungu and Eric Nshimiyimana as coaches who shaped his career. French player Eric Abidal is his role model and he grew up as a fan of Kiyovu SC. Besides being known as a player who could play in every positionon on the pitch, Jojoli is known as a player who was too aggressive going by the number of red cards he collected. “There are many players who are like me on that, I can cite Itali’s Gatuzzo, Mascherano, Patrick Vieira and others. I was shown the last red card in 2006 while I was in Kiyovu. I was still young, as I grew up, mistakes on the field reduced,” says Jojoli. Jojoli is among the few Rwandan football players who have gone and completed college education. 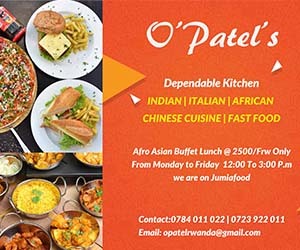 After cutting short his education in 2007 at INILAK, he re-enrolled and graduated from Mount Kenya University in 2013 with a degree in Social Work and Administration. Asked what drove him to pursue university education, unlike most football players in Rwanda, Jojoli says that it is because he had good friends who advised him to do so. Currently, Jojoli works as an architect, designing buillding plans. He however plans to return to football as a coach, after he obtained the CAF Coaching License C.
He is a music and film lover and cites Robert Kelly and Celine Dion as his favourite singers whose songs he listens most to when he wants to relax.